Looking for Whitewater Deck Building Contractors? Creating an outdoor living space takes careful planning and skilled installation. Deck building in Whitewater, Wisconsin also requires a knowledge of the area and plenty of experience with local customers. Serenity Concepts LLC has been building decks in Whitewater for years, helping countless customers create their personal backyard oasis. Every Whitewater home has unique circumstances and challenges, from grading issues to exposure and house design. Serenity Concepts LLC offers custom deck design services to help you capture those dreams for the ideal outdoor space. More than simply deck building contractors, Serenity Concepts LLC works with Whitewater homeowners to expand their living space and improve their lifestyle. You’ll need to find Whitewater, WI deck building contractors with experience. 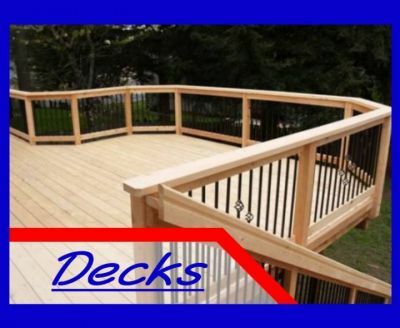 The well trained staff at Serenity Concepts LLC build decks using only top grade materials finished to the highest standards of safety, comfort and appearance. Look around your Whitewater neighborhood and admire the custom decks built by Serenity Concepts LLC, available in your choice of decking materials including pressure treated decks, composite decks, cedar decks and vinyl decking. And you also get premium service at an affordable price from Serenity Concepts LLC. Increase the value of your home and expand your lifestyle with custom designed and expertly built decks from Serenity Concepts LLC. We have a long list of satisfied Whitewater customers, and continue to amaze your neighbors by creating expanded living space on a budget with custom built decks from Serenity Concepts LLC. Enjoy the Whitewater weather all season long on a quality deck. Serenity Concepts LLC is the leading Whitewater, WI deck building contractor, offering custom deck designs and professional installation at reasonable prices you can afford. Take the next step towards your dream backyard and call Serenity Concepts LLC at (262) 295-2145 to book your free estimate.